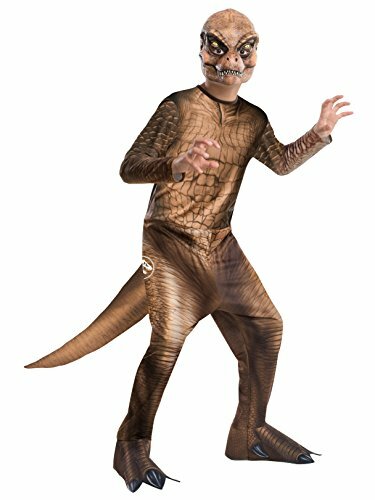 Jurassic World - Child T Rex Costume - Medium | What Should I Say? The Jurassic Park 2 T-Rex Costume for Kids includes jumspsuit and headpiece. This is an officially licensed costume . Size: Small (Fits sizes 4-6), Medium (Fits sizes 8-10), Large (Fits sizes 12-14). Halloween only comes around once a year so take advantage of it with costumes, props and accessories sold here at at great price.